This is a wonderful fallback salad when you are not sure what to have for dinner. 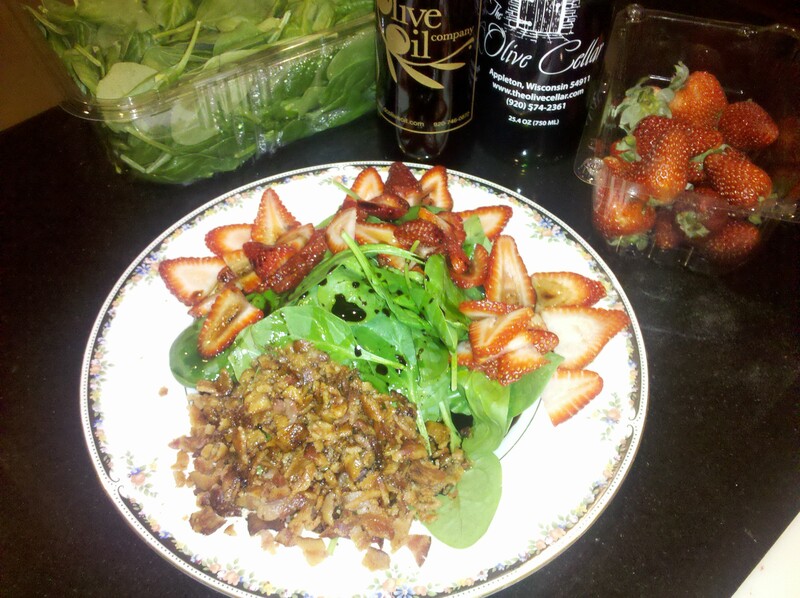 I used organic spinach leaves, freshly cooked bacon and sliced strawberries. The finishing touch was a drizzle of Basil Olive Oil and Strawberry Balsamic Vinegar. So yummy with the salty and sweet flavors and gone in seconds. I did have to share a few times with the hubby, but I didn’t mind too much. Anytime I can get him to eat something other than a burger, I have won the battle!